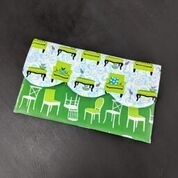 The Scalloped Clutch from Poorhouse Designs is made fusing a pre-cut placemat. This preppy clutch includes a zipper pocket and is room enough to hold your phone. 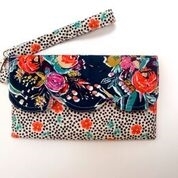 Our clutch is a lovely way to show off your favorite fabrics. 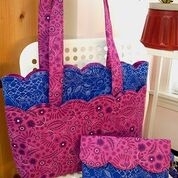 We will make the clutch with our "no tears" technique and then discuss the methods to make the companion tote.